A man was fatally struck by a Valley Transportation Authority light rail train late Thursday, officials said. 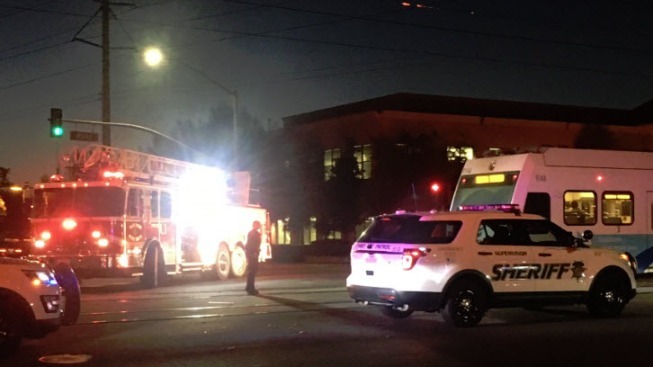 The collision was reported in the area of Component Drive and North First Street about 5:30 p.m., the VTA said. The victim was taken to a local hospital, where he was pronounced dead. A passenger on the train also was taken to a hospital after complaining about chest pains, the VTA said. There were 25 to 30 people riding the train. A bus bridge was operating between Bonaventura and Katrina stations while the accident was investigated. Thursday's incident was the second of its kind in three days. A pedestrian was fatally struck Tuesday by a light rail train at Rosemary and North First streets.